Why evaluate? What do we mean by evaluation? Where do we start? The November 19, 2015 Evaluation Basics webinar laid a foundation for thinking about the results of our efforts. Developed and led by Brigid Riley, Maria Teresa Gaston and Sharon Neuwald, this webinar provided a broad overview, lots of discussion and a helpful resource list. 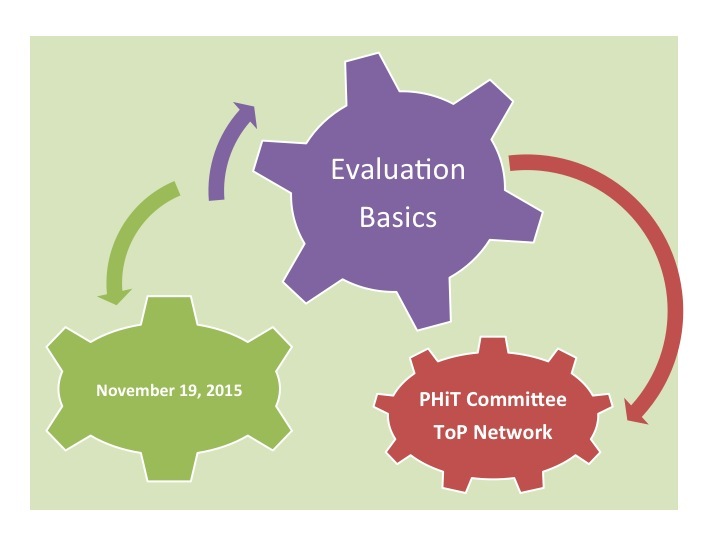 Are you interested in learning more about evaluation? If yes, click here and add your name to the interest list.